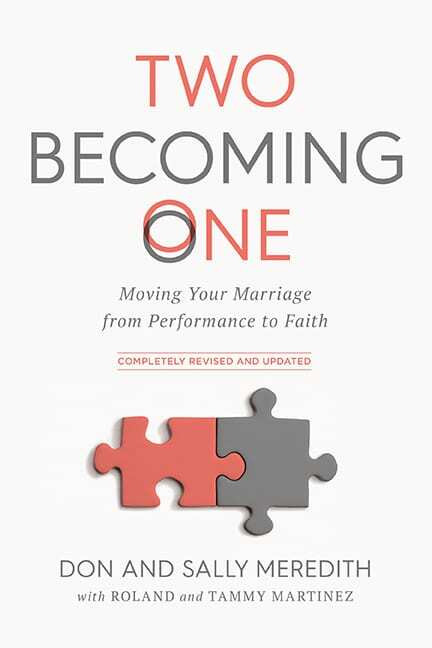 Whether just starting your amazing journey toward oneness or running on fumes, wondering if divorce is the way forward, trusting God and his promises for the success of your marriage is imminently worthwhile. Learning to live and love through the lens of faith will give you a new perspective for your marriage. Build a thriving relationship with Two Becoming One resources. Grounded in Scripture, these concepts are timeless, effective and have transformed thousands of marriages. These resources are excellent for marriage enrichment programs and pre-marital counseling. We love to hear stories of how Two Becoming One has impacted your marriage. These stories can have a meaningful impact on other couples who may find themselves in the same place you were before you participated in a Two Becoming One group. If you have a story to share, please complete the form below. 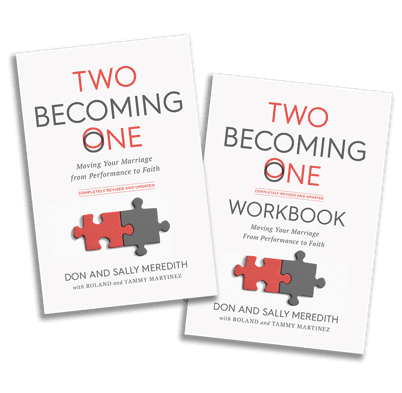 Helping couples understand how to develop a 'faith relationship,' you and your spouse can become Marriage Disciplers – husbands and wives willing to invest in their own marriage and the marriages of others. We provide support to our Marriage Disciplers in the form of training, tools, and additional resources to help our leaders succeed.